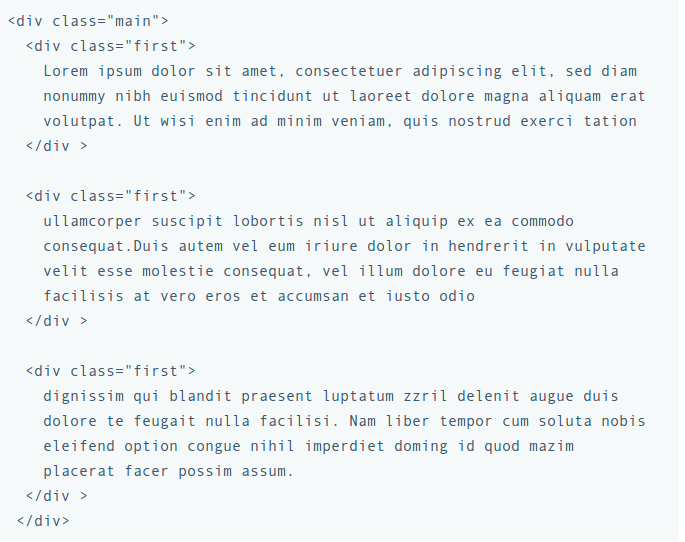 This article is a tutorial on formatting text with CSS and HTML for readability, usability, and performance. If we have quite a long text and we want to show it into three adjacent columns, one way to implement it is via three <div>’s or <p>’s in HTML and adding CSS properties. If the complete text to be displayed in P tag is rendered dynamically through a particular selector, in such a case it can be complicated to measure out how this text should be break to display in 3 divs/columns. Unfortunately, this is impossible to do with CSS and HTML without forcing column breaks at fixed positions, or restricting the markup allowed in the text, or using scripting. CSS3 introduced some new property to make such layouts (if have noticed in newspaper, magazines, etc.) have block layout mode because people have trouble reading text if lines are too long, if it takes too long for the eyes to move from the end of the one line to the beginning of the next, they lose track of which line they were on. This limitation is solved by adding new following CSS3 properties to extend the traditional block layout mode. These properties solve the above-discussed issue, the code becomes concise ,clear and easy to implement instead of using complicated structure through JS. Here all those extra static divs are removed, using only single CSS class to manipulate display of content. To apply vertical rule between these columns, we just have to add one more CSS property in main class i.e. column-rule, rather than adding an extra class for this. The column-width property specifies a suggested, optimal width for the columns. The column-rule property is a shorthand property for specifying color, width, and style of a vertical rule between all the columns. It displays a vertical rule between all the columns. The column-span property specifies how many columns an element should span across. Published at DZone with permission of Ashu Tomar , DZone MVB. See the original article here.